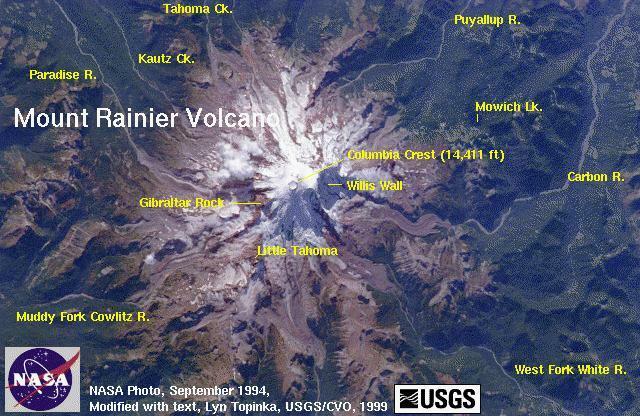 Since 1980, 45 eruptions and 15 cases of notable volcanic unrest have occurred at 33 U.S. volcanoes. Lava flows, debris avalanches, and explosive blasts have invaded communities, swept people to their deaths, choked major riverways, destroyed bridges, and devastated huge tracts of forest. Noxious volcanic gas emissions have caused widespread lung problems. Airborne ash clouds have disrupted the health, lives, and businesses of hundreds of thousands of people; caused millions of dollars of aircraft damage; and nearly brought down passenger flights. 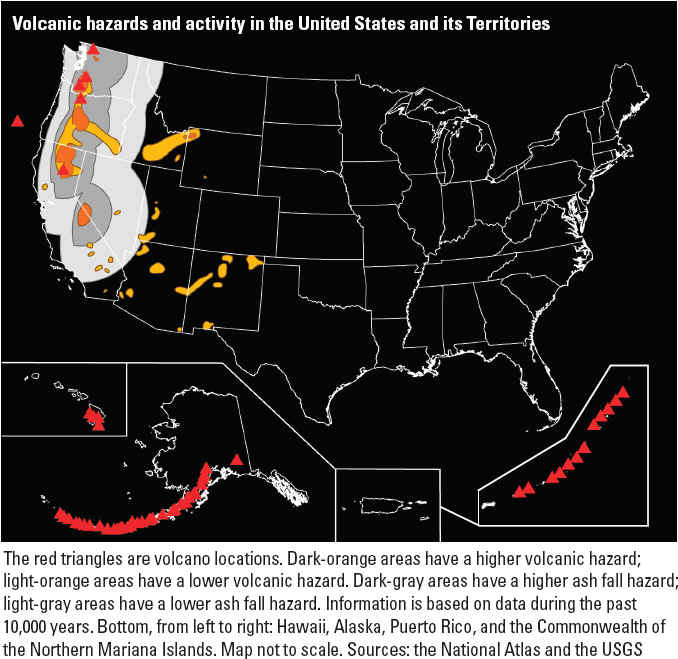 About 11 percent of the world’s active volcanoes are located in the United States. Many of them lie below active air traffic routes. From 1973 through 2003, about 100 encounters of aircraft with airborne volcanic ash have been documented. About 20 percent of the reported encounters involved significant damage to engines and airframes. In eight encounters, damage was so severe that in-flight engine failures occurred. Alaska contains over 130 volcanoes and volcanic fields which have been active within the last two million years. 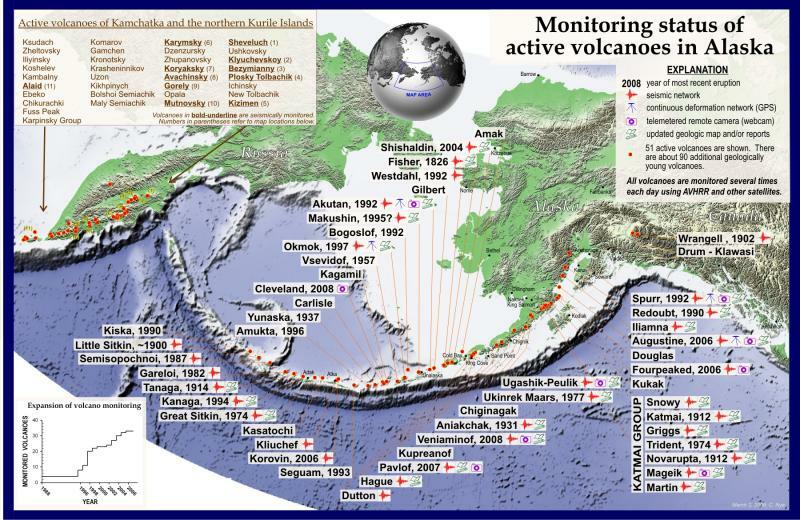 Of these volcanoes, about 90 have been active within the last 10,000 years (and might be expected to erupt again), and more than 50 have been active within historical time (since about 1760, for Alaska). Volcanoes in Alaska make up well over three-quarters of U.S. volcanoes that have erupted in the last two hundred years. Alaska's volcanoes are potentially hazardous to passenger and freight aircraft as jet engines sometimes fail after ingesting volcanic ash. 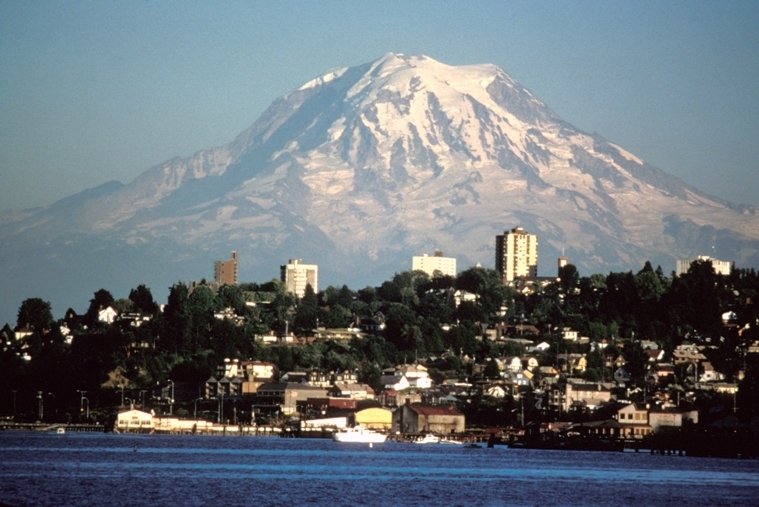 Volcanic History Overview: Mount Rainier, the highest peak in the Cascade Range at 4,392m (14,410 ft.), forms a dramatic backdrop to the Puget Sound region. During an eruption 5,600 years ago the once-higher edifice collapsed. Ensuing eruptions rebuilt the summit, filling the large collapse crater. Large mudflows from eruptions and from collapses of this massive, heavily glaciated andesitic volcano have reached as far as the Puget Sound lowlands. On more than a dozen occasions since the last ice age, explosive eruptions spread tephra (ash, pumice) across parts of Washington. The last magmatic eruption was about 1,000 years ago. Extensive hydrothermal alteration of the upper portion of the volcano has contributed to its structural weakness promoting collapse. There is also a labyrinth of steam caves beneath the summit icecap produced by an active thermal system driven by magma deep beneath the volcano. 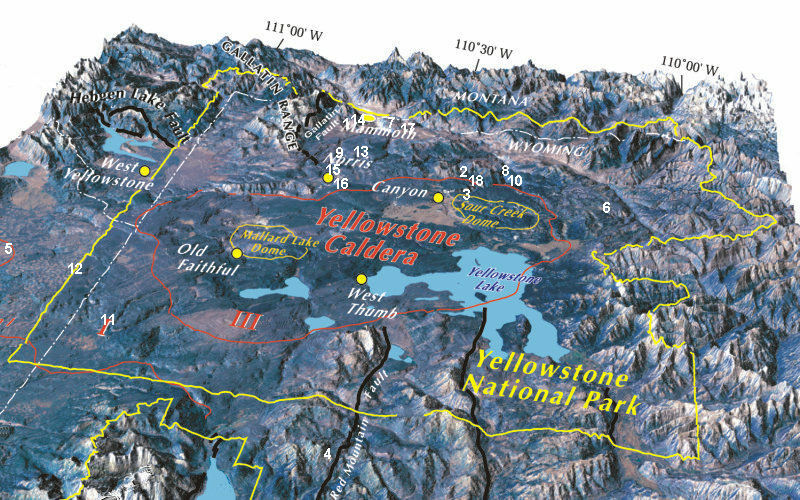 Volcanic History Overview: The Yellowstone Plateau volcanic field developed through three volcanic cycles spanning two million years that included some of the world's largest known eruptions. Eruption of the >2450 cu km Huckleberry Ridge Tuff about 2.1 million years ago created the more than 75-km-long Island Park caldera. The second cycle concluded with the eruption of the Mesa Falls Tuff around 1.3 million years ago, forming the 16-km-wide Henrys Fork caldera at the western end of the first caldera. Activity subsequently shifted to the present Yellowstone Plateau and culminated 640,000 years ago with the eruption of the >1000 cu km Lava Creek Tuff and the formation of the present 45 x 85 km caldera. Resurgent doming subsequently occurred at both the NE and SW sides of the caldera and voluminous (1000 cu km) intracaldera rhyolitic lava flows were erupted between 150,000 and 70,000 years ago. No magmatic eruptions have occurred since the late Pleistocene, but large phreatic eruptions took place near Yellowstone Lake during the Holocene. Yellowstone is presently the site of one of the world's largest hydrothermal systems including Earth's largest concentration of geysers. 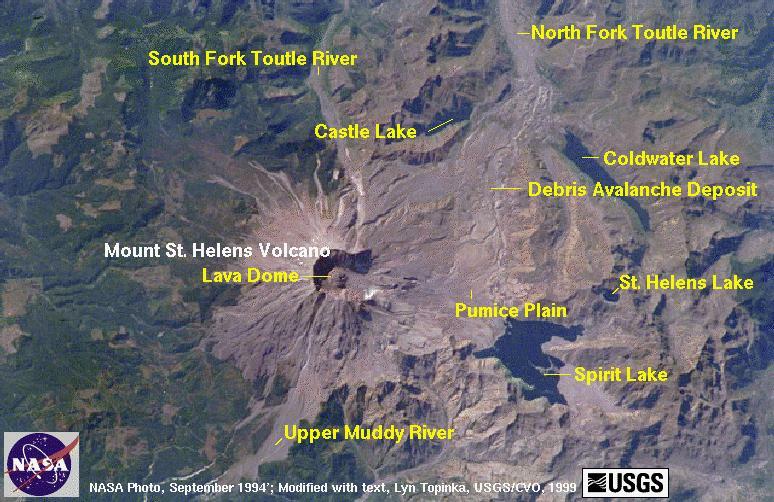 Volcanic History Overview: Prior to 1980, Mount St. Helens formed a conical, youthful volcano sometimes known as the Fuji-san of America. During the 1980 eruption the upper 400 m of the summit was removed by slope failure, leaving a 2 x 3.5 km horseshoe-shaped crater now partially filled by a lava dome. Mount St. Helens was formed during nine eruptive periods beginning about 40-50,000 years ago and has been the most active volcano in the Cascade Range during the Holocene. Prior to 2200 years ago, tephra, lava domes, and pyroclastic flows were erupted, forming the older St. Helens edifice, but few lava flows extended beyond the base of the volcano. The modern edifice was constructed during the last 2200 years, when the volcano produced basaltic as well as andesitic and dacitic products from summit and flank vents. Historical eruptions in the 19th century originated from the Goat Rocks area on the north flank, and were witnessed by early settlers.